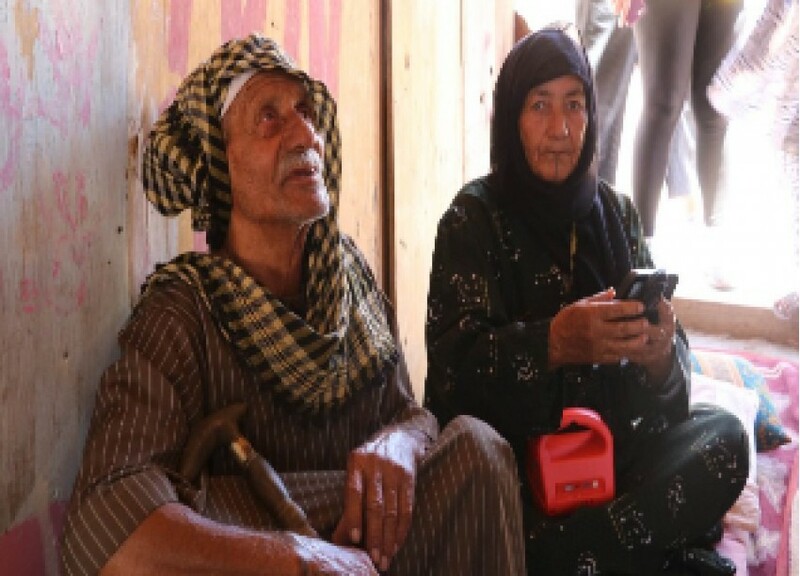 Working with Kopernik, we at Human Relief Foundation is providing the Aqaba refugee camp with light, so those living in hardship can benefit from security, health, education and an improved quality of life. Read Habib Musa's story here. 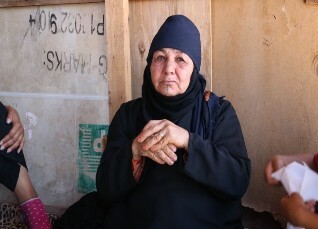 Habib Musa, 67, is one of the longest refugees hosted in Aqaba Camp; he lives with his wife and three children in a small tent. His wife suffers from a lung condition and arthritis in her legs which restricts her mobility. This makes it difficult for her to leave the tent. The children do not go to school, instead they stay at home to help their parents with chores. Habib hopes to be able to send them to school once a place for them opens. The family has never had access to lighting or electricity before, so they are very excited to have this new modern method of harvesting solar energy. Habib hopes that now they have light they can do more activities together as a family after sunrise. 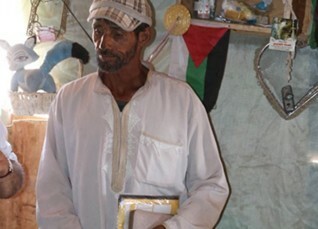 The solar powered lamp benefits Habib Musa, but also his wife and children. We want to help many more like Habib. Lamps will now be able to support Habib and his family with general household activities such as cooking and cleaning without having to worry about being harmed in the dark. They will also have the ability to generate a small income by charging mobile phone users a small fee to charge their phone using the lamp. This may be enough to pay for an education for the daughters.